We have developed a new stereo cartridge "Destiny". It is the best cartridge especially excellent for bass. We put this cartridge in a special wooden box. Please see the stereo cartridge page for details. 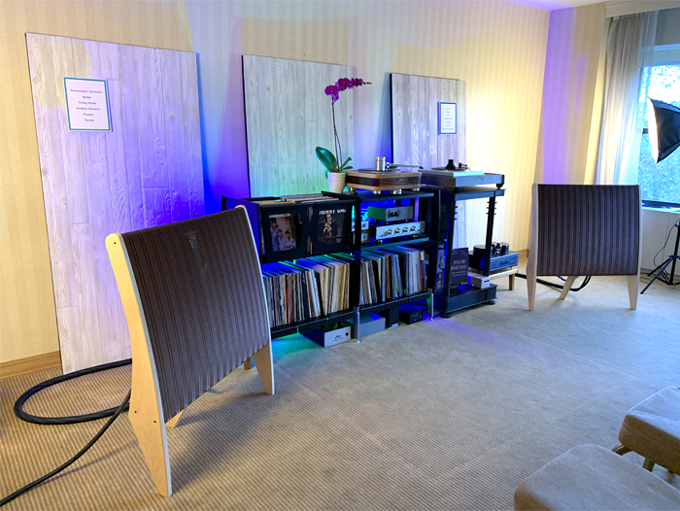 A Polish wholesaler attended the Warsaw Audio Show 2018.
the room of the US wholesaler "Robyatt Audio" sounded the best! I have been chasing “better sound” for about 56 years now (I am 71 years old). From the beginning, my favorite pastime has been listening to music, so I became a dealer of audio products. Later, I founded Miyajima Lab to manufacture superior “high end” audio products. I have long been interested in the development of audio technology, but have been dissatisfied with existing products. Moreover, I am disappointed that the efforts (and results) of the early audio pioneers have not been significantly exceeded. 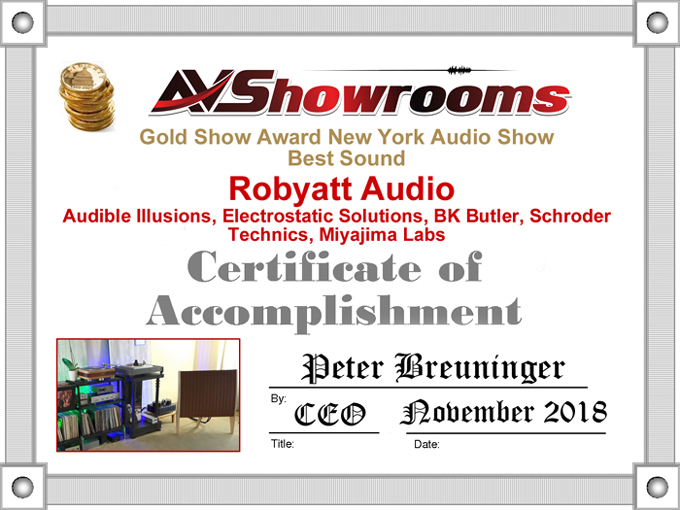 Today, most audio products sold use designs and parts primarily driven by profit margins and only superficially represent the undiluted efforts of those, like Miyajima lab, who search for the best sound, regardless of cost. Make no mistake, Miyajima lab will spare no effort to produce the finest audio products as a labor of love. You continually see ads showing new audio products that are touted as having superior performance. Do youreally believe all these claims? There are actually very few sophisticated products built without regard to cost. Therefore, there are many room to improve. Analog audios most crucially important link is the CARTRIDGE! The monaural cartridge was invented in the 1940s; the stereo cartridge followed later. Many stereo cartridges have appeared since that then. I frequently wonder if the modern cartridge are fully developed even today. I have worked in the audio business a very long time, and have never found a better sounding cartridge with design or construction superior to ours, most especially in terms of groove tracing ability. The cartridge should transform the complex movement of the stylus into an equivalent electrical signal. Back in the 1980s, the compact disc (CD) was introduced to the audio market and analog records seemed passes, while renewed attention to analog has revealed new strengths for the enjoyment of music at the end of the road. Yet, the evolution of digital technology now seems to produce less and less as time. 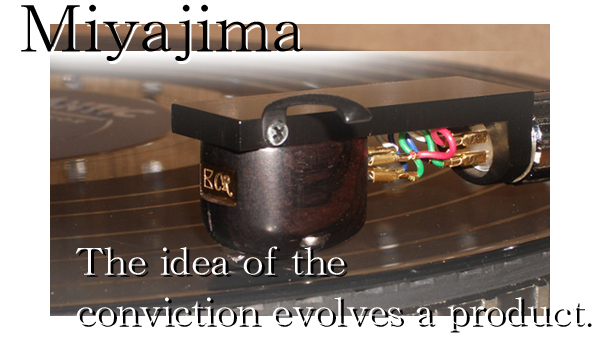 Miyajima Lab is convinced that phono cartridges are a weak link in the most musical audio systems. We have thoroughly studied key aspects of cartridges, and strongly believe our cartridges are superior for recovering music. Consequently, we applied for patent rights on our mono cartridge construction in 2002 and our stereo cartridge in 2005. These two products can trace grooves most precisely and reproduce the music embedded there with a quality that will exceed your expectations. Please use this banner freely.